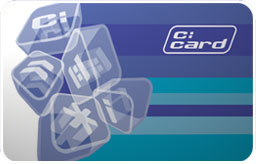 If you are aged 13 – 15 you can only get a c:card from a c:card plus point. When you get there, you will be shown the c:card range of products. Let the worker know what you want, simply by asking or using a Request Card to choose your products. The worker will put these into a paper bag along with a c:card for you to use when you come back. They will also ask you if you want to have a private one-to-one chat to address any questions or concerns you may have, if need be they can show you how to put on a condom. You don’t need to have any discussions unless you wish to. You also don’t need to give your name or address or any other personal information to get a c:card and use the service. You will be given a purple c:card card with your own personal number on it – this is your c:card to keep and use again. There are other information leaflets about the service and where else to go that you can pick up at the c:card point. Remember c:card is confidential. This means we won’t tell your parents or guardians, your doctor, your school or anyone else that you are using c:card unless we think you or another young person under 16 years old is being harmed or at risk of being harmed. To find your nearest c:card point click here (check that it is a c:card plus point that is open to someone your age).